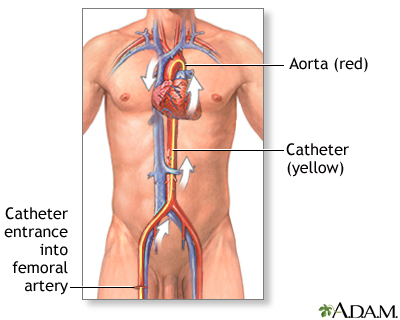 While the patient is awake and pain-free (local anesthesia), a catheter is inserted into an artery at the top of the leg (the femoral artery). The procedure begins with the doctor injecting some local anesthesia into the groin area and putting a needle into the femoral artery (the blood vessel that runs from the heart down the leg). Once the needle is inserted, a guide wire is placed through the needle, into the blood vessel. Following this step, the guide wire is left in the blood vessel and the needle is removed. A large needle called an introducer is then placed over the guide wire and the guide wire is removed. Next, a diagnostic catheter, which is a long narrow tube, is advanced through the introducer over a .035 inch (.0889 cm) guidewire, into the blood vessel. This catheter is then guided to the aorta and the guidewire is removed. 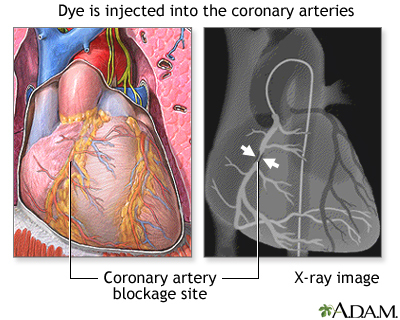 Once the catheter is placed in the opening or ostium of one of the coronary arteries, the doctor injects dye and takes a series of X-rays (film of the images). The first catheter is exchanged out over the guidewire for a guiding catheter and the guidewire is removed. A smaller guidewire is advanced across the blocked section of the coronary artery and a balloon-tipped tube is positioned so the balloon part of the tube is beside the blockage. 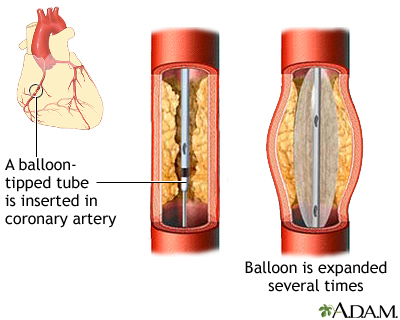 The balloon is then inflated for a few seconds to compress the blockage against the artery wall. Then the balloon is deflated. The doctor may repeat this a few times, each time pumping up the balloon a little more to widen the passage for the blood to flow through. 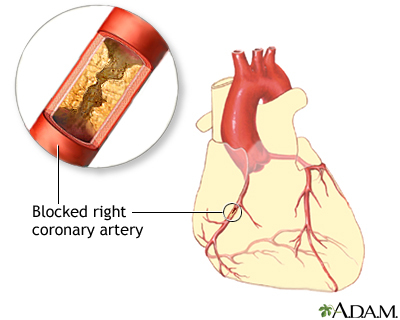 This treatment may be repeated at each blocked site in the coronary arteries. 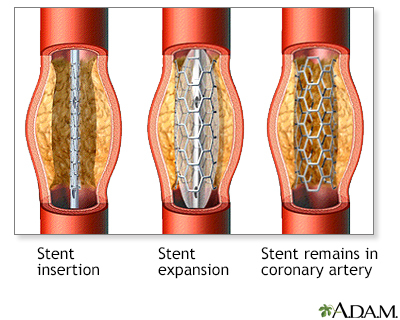 A device called a stent may be placed. 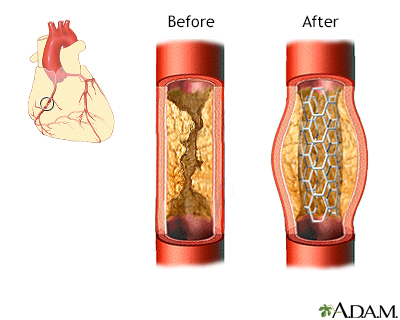 A stent is a latticed, metal scaffold that is placed within the coronary artery to keep the vessel open. 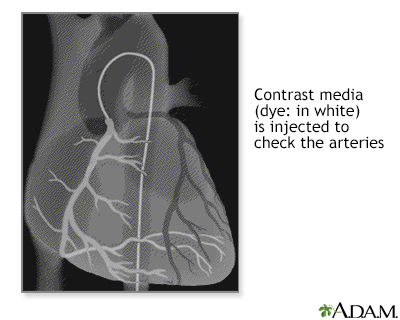 Once the catheter has been positioned at the coronary artery origin, contrast media is injected and a series of X-rays (film) are taken to check for any change in the arteries. Following this, the catheter is removed and the procedure is completed. This procedure can greatly improve the blood flow through the coronary arteries and to the heart tissue in about 90% of patients and may eliminate the need for coronary artery bypass surgery. The outcome is relief from chest pain symptoms and an improved exercise capacity. In 2 out of 3 cases, the procedure is considered successful with complete elimination of the narrowing or blockage. This procedure treats the condition but does not eliminate the cause and recurrences happen in 1 out of 3 to 5 cases. Patients should consider diet, exercise, and stress reduction measures. 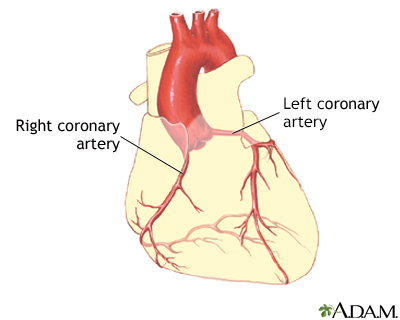 If adequate widening of the narrowing is not accomplished, heart surgery (coronary artery bypass graft surgery, also called a CABG) may be recommended. 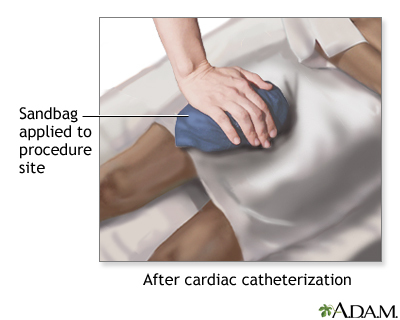 Immediately after the procedure, a ten-pound (5 kg) sandbag may be placed over the femoral artery puncture site in the leg and remain there for 6 hours. This is done to help the artery heal.